If there are any runners out there that want to have fun check me out on SmashRun. 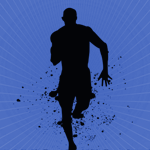 It is a free running site that will keep you motivated with badges and tons of stats. It even works with the Nike app, so if you have an Apple Watch it is a must. I’m trying to run 100 days in a row without a break (or injury). Challenge me and I’ll challenge you back so we can all have more fun running.